If you don't want to leave the house however, there's plenty of amenities to entertain you: the reclining chairs in the living room are perfect for a good book, the full kitchen is ready for whatever woodsy confections you want to cook up, and the card table is ready for whatever game you fancy. The Lindgren Haus was a nice, quaint cabin to get away and unplug in. This home has a stocked kitchen including a crockpot, griddle and coffee pot to make for delicious eats. There are plenty of decks of cards to go around here if you forget to bring a deck or decide to play games that require more decks. This home also has an outdoor fire pit with plenty of room to gather around it so during the times of no fire ban, plan to bring a lawn chair to relax and get toasty. Speaking of toasty, this home has a wonderful heating system so no need to bring those warm layers for hanging around inside. But the LazyBoy furniture will allow great places for reading, sipping coffee and those mid-day naps that are needed on a quality vacation. I enjoyed my stay here and got plenty of beauty rest due to being surrounded by trees to keep the cabin shaded from the morning sun. Cozy place close to Crystal mountain. Well equipped with dishwasher, washing machine/dryer, fireplace. Convenient for a ski weekend! This small cabin is perfectly fine, and in a good location, with access to the store in Greenwater and close to the Park. 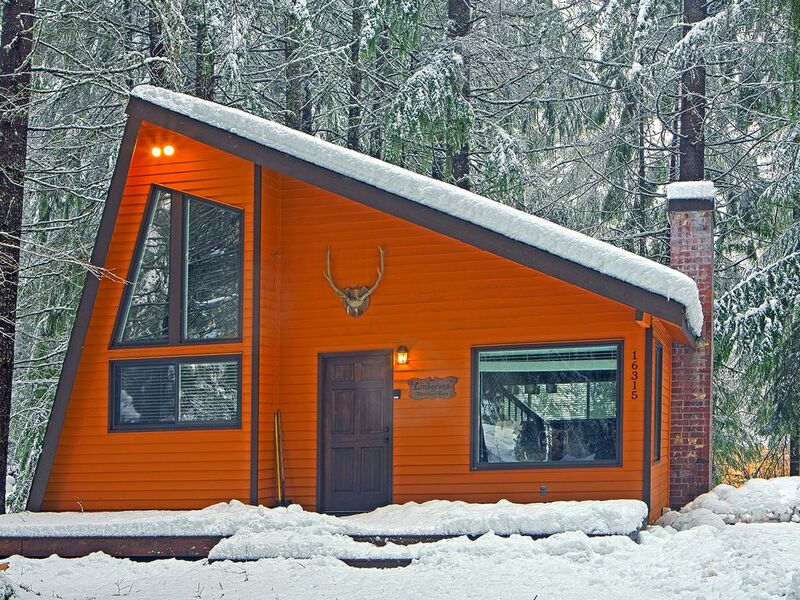 It is in a fairly dense development of cabins, so it's far from a secluded spot in the woods, but it is more private than condos at a ski resort. The Lindgren Haus is very comfortable, clean and nicely located in Greenwater. It would be a top selection if it were equipped with internet. We enjoyed our stay, and the cabin was nice. The cabin was perfect for our needs. Please consider adding the convenience of connectivity for travelers who do not plan everything 100% of activities in advance.